The 2017/18 footie season’s starting and there’s one thing everyone wants to know. And that’s how to make money from football betting, of course. It’s not surprising, seeing as how football betting is one of the most profitable sports markets. In this post, we’ll look at how you can make money from football betting with OddsMonkey and matched betting. Hit the image below to find out how you could try OddsMonkey Premium for £1. Register with an online bookmaker (eg: Coral) who’s offering a free ‘welcome’ bet. A welcome bet could be ‘Bet £10 and get a free £10 bet’. Place your qualifying bet. This is actually made up of two bets. ‘Back’ an event to happen, like England to win, at the bookmaker. This is where the ‘matched’ bit comes in…At the betting exchange, ‘Lay’ England to not win (this means either a draw or loss). Now you’ve covered all potential outcomes of the match. What this means is that you won’t win any money, but you won’t lose any either. What you have done, though, is unlock the free bet. Use the same method as above to place your free bet. Again, you’ll break even, but you’ll actually have profited because you were using the free bet rather than your own money. Something big is happening to the world of matched betting. And it’s happening at OddsMonkey. 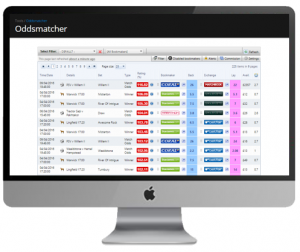 Our core product, OddsMatcher, made matched betting easier for everyone by making the manual process of finding odds automatic. And now, thanks to our brand new Betfair Integration, matched betting’s about to get even quicker and slicker, too. Alongside Betfair, we’ve developed the first matched betting tool that means bets can be placed directly at the exchange. Without needing to leave OddsMonkey or even log in to Betfair. Find out more about Betfair Integration here. Self-employed web developer, David, found that there were times when he was struggling to pay the bills. He also found himself with a lot of time on his hands. The work wasn’t consistent and he was often waiting for the phone to ring. Dead time in money-making terms! David needed to find another source of income. Something that was flexible enough to fit around his day job. It also had to be worth it and generate a meaningful second income. Watch the video to find out how matched betting changed David’s life. We’ve got a whole range of matched betting tools available as part of our Premium package. Here’s a quick look at the ones focused on helping you make money from football betting, though. The original odds matching software. OddsMatcher finds and sorts odds from 100+ bookmakers, bringing you the top matches. Acca Matcher highlights available offers, saving you time. Build your own football accumulators, see the expected value and ‘swap’ selections to suit you. Looking for prescribed accumulators? This is the tool for you. With Acca Finder you can: switch between acca types, search thousands of accas and guarantee profits. Our dedicated customer support team are second-to-none when it comes to matched betting knowledge. No question is too big, too small or too silly. Ask away. Swing by our moderated forums for the latest advice, offers and profits. OddsMonkey’s thriving Community is a hub where our members and support teams hang out together. Need a bit of extra guidance? Book a 30 minute video call with one of our matched betting experts, no matter what level you’re at. 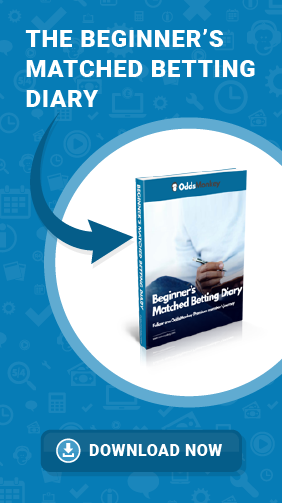 Learn matched betting with OddsMonkey. We’ve also got tools designed to help you make money from horse racing, golf and other sports too! ◂ Low risk betting – is there such a thing?